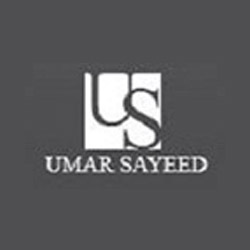 Umar Sayeed is a name that needs no introduction having dominated the fashion landscape of Pakistan for more than twenty years. By consistently delivering an unparalleled level of style and creative brilliance he has engraved his signature in history as one of the top designers to have hailed from Pakistan. The Umar Sayeed label can be trusted to produce ever changing innovative designs year after year. As the crowned king of couture his work exudes romance and culture using finely hand crafted beading and dazzling designs. From luxurious saris to lehngas he has excelled in all areas of fashion. His studio offers a multitude of options to choose from which can be customized as desired. Umar also indulges select male clients with his exclusive menswear line, including embroidered shirts, formal jackets with well-placed appliques and fine details. His couture collection is available exclusively via custom orders and available locally and internationally via retail and exhibits. His read-to-wear collections are stocked at all leading muli-label stores in Pakistan. Studio: F38/2, Block 8, Clifton, Karachi. Ensemble: C-32 E Street, Block 4, Clifton, Karachi. Labels: First Stadium Lane, Khe-Shamsheer, Phase V, DHA, Karachi. One by Ensemble, Dolmen Mall, Sea View, Clifton Karachi.